TRITON Treatments have been developed to fix specific problems commonly faced by aquarists. Unlike many products on the market TRITON Treatments are quality controlled and free from contamination by unwanted / unknown elements. Their ground breaking application of HPLC and ICP-OES techniques to reef keeping came from in-house research and development by TRITON LAB. When combined with their range of highly pure supplements and treatments developed by TRITON REAGENTS, we arrive at the heart of what separates TRITON from the competition. They empower hobbyists with the knowledge of what is actually in their seawater, and give them the control to fix it, with accuracy and precision. But they didn’t stop there. Because Triton are chemists AND reef keepers, they wanted this solution to be available to everyone. 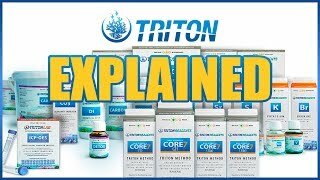 So they created the TRITON METHOD: an easy-to-follow recipe so anyone can have the beauty and tranquility of a living coral reef in their own home.